the outsiders (rare). from a Tulsa newspaper. 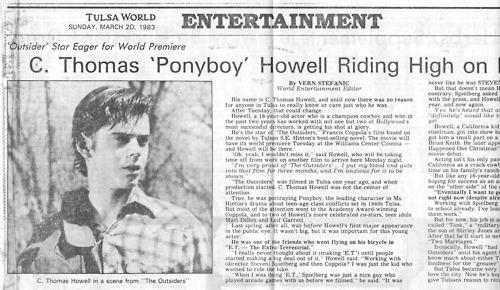 Wallpaper and background images in the Outsiders club tagged: the outsiders sodapop johnny darry two-bit ponyboy dally mjfan4life007. This Outsiders photo might contain journal, papier, magazine, tabloïd, chiffon, livre, anime, bande dessinée, manga, and dessin animé.